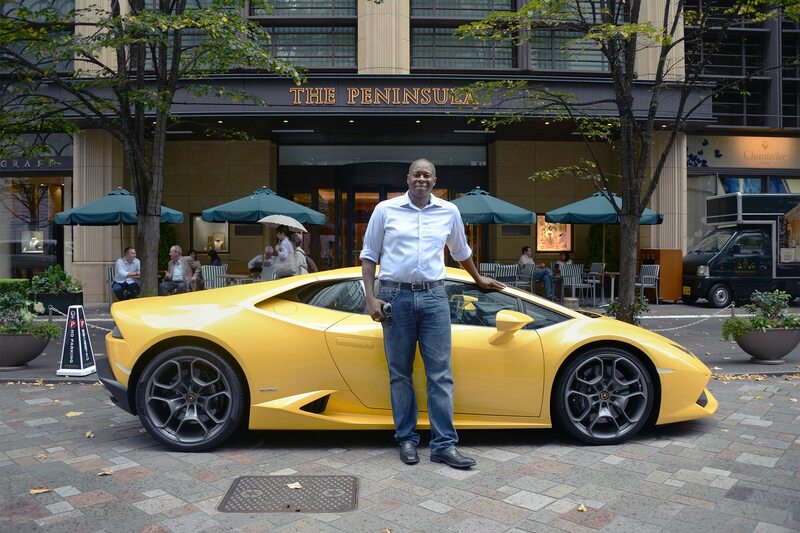 / Features / Want to Take Your Lamborghini From London to Tokyo? Imagine, just for a moment, you are a master of the financial universe with a problem: You’re being transferred from London to Tokyo and you want to bring along your beloved Lamborghini Huracan. Who you gonna call? As I learned the hard way. I first stumbled onto Hollis in 2011 while looking to solve a paperwork snafu with a 2005 Subaru Outback I was buying from a foreigner who fled Japan after the tsunami. 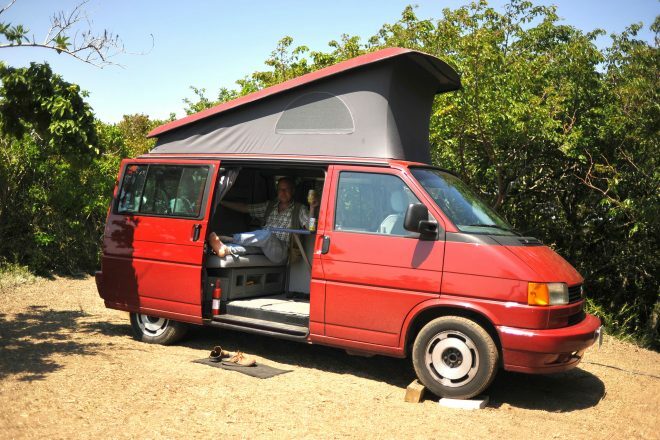 When he mentioned that his main gig was importing supercars I had to ask: “How much to bring my 1993 VW Westphalia camper from Canada?” On hearing, “Maybe five grand, all-in,” I couldn’t resist. I should have listened more closely to his advice, but we’ll get to that. “Can you even import that?” is the first question to ask with any trans-ocean shipping deal. Surprisingly, Japan, a supposedly ‘closed market,’ will let you ship any car in or out, right- or left-hand drive, no matter how old, and duty-free if privately importing a car you have owned at least a year. The one exception is re-importing current Japanese models sold in Japan. Once landed, though, getting your car on the road is where things get complicated. Although Europe is more straightforward, it’s costly with value-added tax at 28%. Duties are high in both Singapore and Hong Kong, but the paperwork is easy in the latter and hellish in the former. China? Don’t even bother trying. What kind of ship, container or RO/RO? Roll-On/Roll-Off vessels that resemble massive floating toasters are how new cars get across the ocean. Getting a car on and off is easy: longshoremen drive it up the ramp and strap it to the deck in a massive enclosed hangar. RO/RO is also generally cheap, as low as $600 on back-haul to Japan. In 1994, I paid $1,000 to ship my VW from Antwerp to Halifax, considering the distance not much more than the return ferry fare I’d paid between Greece and Israel. If you and your insurer are hyper-concerned about risk, shipping in a sealed 20-foot container may be preferable — especially now that low oil prices and collapse of the China trade have cut freight rates to historic lows. Port-to-port, you can ship almost anywhere for $2,000-$3,000. Either way, expect to pay 2-3% of declared value for insurance covering total loss at sea. End-to-end, all-risk insurance costs more, and Hollis says it’s hard to find. Container may be better if shipping from somewhere far from a port with RO/RO service to your destination — as was the case with my camper going from Toronto to Tokyo in 2012. I didn’t have time to drive out to Vancouver, but in hindsight I wish I had. Smart people with fat wallets deliver their cars to bonded warehouses where professionals load them into containers and certify the contents. Thrifty idiots like me try to cut costs with a DIY approach. “And I can cram all sorts of useful stuff in the box!” I thought. For starters, if there’s no car inside, you can put in whatever you like and customs will clear it. But with cars, it is often required that nothing else be inside the container or the vehicle. Oops! Then there was the challenge of finding a ramp to use for backing the van into the container on a truck. When the one I’d scouted became unavailable at the last minute, we scrambled to find a tractor dealer with a rough, muddy loading ramp designed for backhoes. During the scramble, I forgot that the tank was near empty (as required) and, with freezing rain approaching, ran out of gas 100 yards from the ramp. By the time we got a jerry can, I was so frazzled and frozen I couldn’t manage backing up the muddy slope and into the narrow slot. So my buddy Bill had to do it, and since he’s thin as a rail, he managed to egress from an opening barely six inches wide. Strapping the car down was fairly smooth, but I’ve never heaved a bigger sigh of relief than when that truck rolled away. When the container arrived in Tokyo three weeks later, Hollis joined me to help with some unpleasant surprises. Since an agent in Canada had booked the shipping, Hollis didn’t have the chance to advise choosing a terminal that allows unloading on site. As a result, was I facing an unexpected $200 handling charge plus $600 to truck the box two miles to a warehouse with the huge forklift needed to set it on the ground. Ouch! But first, we had to clear customs. Since the Japanese seem to love tetsuzuki (paperwork) as much as they do origami, it’s no surprise that importing a car takes reams of it. This gives customs officials the subjective leeway to kill you with 1,000 paper cuts if one box is ticked incorrectly — and if they feel like it. I was filled with trepidation, noticing that all eyes behind the counter were on us as we sat down at a table in the customs office to go over my documents. ‘What’s with that?’ I wondered. I was even more perplexed when all the officials came over to rubberneck once we got up to the counter. But as Hollis started to fill out the forms in a neat if not elegant Japanese hand, they began making approving noises. Seems they were simply amazed to watch a black man writing Japanese. “Harris-san put that in to ensure nothing flew around the cabin at sea,” Hollis replied gamely. In the end, customs was a breeze, but Hollis swears up and down he gets no special treatment — just that he gets the paperwork right and the customs people don’t dislike him. In any country, the final, toughest and costliest hurdle is to get your car declared roadworthy and licensed. That requires a safety certification, emissions testing, and sometimes modification to meet local specs — re-aiming left-hand drive headlights, for example. Japan also has a noise test. All this must be certified by licensed mechanics, then re-checked by government inspectors. How do you get around that? “Well… there are ways…” he says, voice trailing off. At this point, it’s time to confess: you have to be crazy to bring a car into Japan, a land that abounds with mint-condition, low-mileage used cars — often at unbelievable prices. I only did it because I’d driven my Westphalia (Canadian spec, delivered tax-free in Europe) from the Red Sea to Alaska. And I dreamed of driving it from one end of Japan to the other. What’s more sensible is buying used in Japan and exporting — especially to right-hand drive markets like the UK or New Zealand. That’s why every Taliban warlord in Afghanistan drives a Toyota Hilux. To get around import restrictions, Japan even has specialists who cut cars in half so they can enter as used parts before being welded back together. “If you find a buyer,” he replies, “ship by RO/RO to Vancouver and drive it south.” Yo, California! Operators are standing by!